Now in its 19th year, the Resonate concert series returns to the Gallery with another musical and visual feast to move and inspire you. The entrance court and grand courts are the perfect environment for Resonate’s extraordinary blend of music and art. We know you’ll enjoy the experience. With a new starting time of 6.30pm, the evening begins with a reception with light refreshments and a private viewing of an exhibition before the concert. The right is reserved to add, withdraw, reschedule or substitute artists and/or vary advertised programs, prices, venues, seating arrangements and audience capacity. Ticket holders must comply with the security arrangements for the event and venue. The Omega Ensemble presents the Australian premiere of New Zealand composer Ben Hoadley’s chamber opera Miss Brill . From the short story by Katherine Mansfield, with a libretto by Craig Brush, the opera reveals a day in the life of a lonely spinster, Miss Brill, living in a seaside town in provincial France in the 1920s, her love of music and fragile determination to remain optimistic despite the harshness of the world around her. Along with music by Glinka and Beethoven, this will be a memorable night of varied musical styles. Bandaluzia is an acclaimed modern flamenco ensemble led by ARIA-nominated guitarist Damian Wright. Their powerful performances, unique sound and explosive displays of dazzling musicianship and virtuosity have made them a great success at festivals and theatres across Australia. Featuring dancer Jessica Statham, Ben Hauptmann on guitar and mandolin, and James Hauptmann on percussion, Bandaluzia are revered for their ability to mix elements of other genres into their performances, whether the rich harmonies of jazz, the exotic melodies of the Orient or the infectious rhythms of South America, in an experience that ignites the senses with the grace of flamenco. ARIA-nominated baroque ensemble Latitude 37 make their Resonate debut with one of their renowned historically informed performances on baroque violin, viola da gamba and harpsichord. Early music enthusiasts Julia Fredersdorff, Laura Vaughan and Donald Nicholson are joined by Simon Martyn Ellis on theorbo and baritone David Greco to present a program of the music of the 16th and 17th centuries by composers such as John Dowland, Henry Purcell and John Playford, evoking the first golden age of English music. London-based Australian pianist Alexander Boyd returns to Resonate with a recital of piano greats, including Beethoven’s beautifully lyrical Sonata no 30 op 109 . Intended as ‘picture pieces… musical evocations of external visual stimuli’, this performance will also include a selection of Rachmaninov’s Etudes-tableaux and, to commemorate the centenary of the death of Debussy, a selection from the poetic and mesmerising 24 préludes . A very special concert of pianistic pleasure. Two of Australia’s best-loved performers Simon Tedeschi and John Bell team up for this journey into the lives and art of two of the Romantic era’s most famous sons, John Keats and Franz Schubert. Interspersed between timeless works by Schubert – including Die Winterreise and Ave Maria – will be recitations of Keats’ poetry by John Bell – Bright star , Ode to a nightingale and La belle dame sans merci . Each of the performers will give their thoughts on the brilliance, popularity and emotional intensity of the words and music of these two artistic giants. Why is light cast upon the sorrowful? Brahms’ Motet op 74 opens with this question. And the answer unfolds during the rest of the program. Dwelling on emotions of sadness and longing, composers – particularly the so-called Romantics – have produced music that is at the same time movingly beautiful and uplifting. Between love songs by Monteverdi and Ravel’s luscious Chansons , the program includes Elgar’s ethereal choral arrangement of Nimrod (enigma variations) and Barber’s haunting vocal version of the Adagio for strings . Founded in 2007 by organ virtuoso Douglas Lawrence, the Australian Chamber Choir has toured in Australia and internationally to great acclaim. 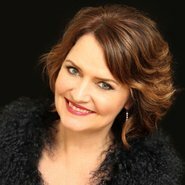 Australia’s pre-eminent soprano, Emma Matthews, accompanied by Kate Johnson, concludes the Resonate year with a sparkling concert of operatic jewels – with a touch of musical comedy thrown in! Featuring a stunning program by the masters of vocal writing, Emma will perform arias and art-songs by Faure, Schubert, Gounod, Bellini, Puccini, Strauss and many others, showcasing the versatility and beauty of her voice for which she is justly acclaimed. The perfect finale to our musical year. Note: Unfortunately the concert featuring Emma Matthews scheduled for Friday 5 October has been postponed due to Emma being unwell. An alternative performance date for the rescheduled concert is being explored. Those with bookings will be contacted with a new date as soon as it is confirmed. The Society sincerely apologises for any inconvenience this may cause and trusts you will appreciate that this situation is beyond our control.